Below summarizes the cash that flowed into my accounts in March 2016. Note that NVO only pays once per year. I had a large position in NVO which has a low yield. I halved my position in NVO without any gains or losses to exchange for higher yielding stocks above 3% (you can see the trades in the previous blog post). 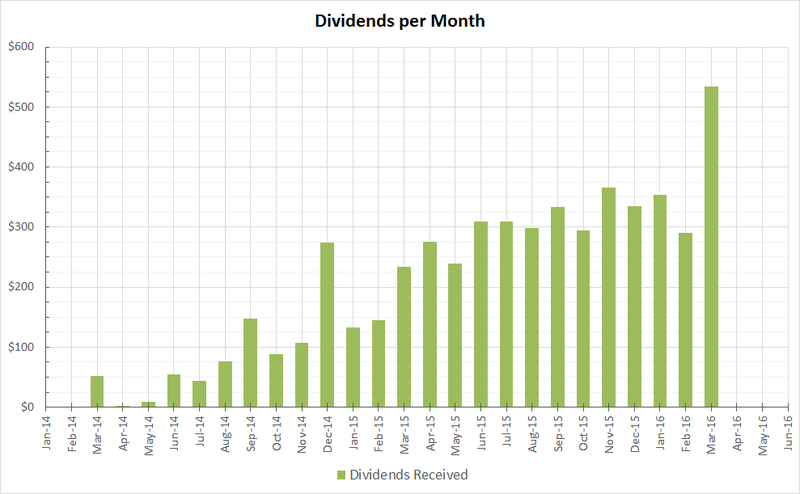 I will be trying to get my monthly dividends over $400 in the coming weeks. Wow you killed it this month! Another inspiring update for passive income earned. Greta job and happy to see quite a few names in common paying us for the month of March. Keep it up!